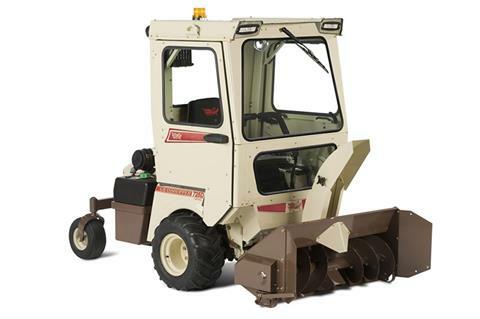 Combining zero-turn maneuverability with a snowthrower takes snow removal to a new level of productivity and comfort, easily replacing conventional walk-behind snowblowers and other snow removal attachments. Available in both 48- and 60-inch models, PTO-driven DriftBuster™ Snowthrowers for Grasshopper FrontMount™ zero-turn mowers deliver "no clog" performance, even in the deepest and heaviest wet snow. 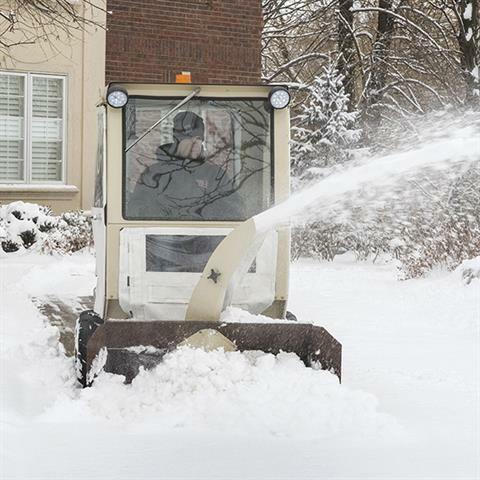 DriftBuster™ is the first and only single-stage professional snowthrower designed and constructed to outperform two-stage systems, and does so at half the investment. That's because our PTO-driven snowthrowers are powered by the power unit's 4-stroke pressure-lubricated gas or diesel engines and state-of-the-art commercial drives. Grasshopper snowthrower systems earn the name DriftBuster™ for a reason – they clear a path through drifts at a pace no other single- or two-stage systems can match. Unlike two-stage systems, the precisely engineered, 7-gauge steel auger encased in a fabricated steel housing is not limited by what it can feed through a small paddle wheel in the chute. Instead, the high-volume auger cuts and busts through snow and ice at a high velocity, channeling it through an adjustable chute and throwing it up to 30 feet away. 12 in. (30.5 cm) dia.